Accidents involving injured seamen are governed by federal law, such as the Jones Act, general maritime law, state law, and sometimes international law as well. But, when non-seamen are injured, a different set of laws normally applies, which includes the Longshore and Harbor Worker’s Compensation Act (LHWCA). The LHWCA covers maritime workers who work in various non-seamen occupations, the majority of which are employed in ports, harbors, and shipyards on or near the navigable waters under United States jurisdiction. The LHWCA also applies to certain employees who work on oil rigs and other offshore facilities on the Outer Continental Shelf. Others who are not employed in maritime work may also be covered by the LHWCA if they are injured while working on navigable waters. The vast majority of injuries suffered by LHWCA-covered employees occur during loading and discharging activities and during vessel maintenance. Depending on the circumstances, injured workers may have a right to two types of recovery under the LHWCA: (1) employee benefits and (2) claims against the vessel owner or operator for negligence. Medical expenses, including compensation for doctors’ appointments, pharmaceuticals, surgeries, and hospital stays. If the employee is temporarily unable to work, then they may also be entitled to two-thirds of their weekly salary (up to a maximum amount set by law) until they are able to work again. Permanently-disabled employees are also entitled to compensation. If the employee was killed, then the worker’s spouse may be entitled to benefits, including compensation for medical expenses and half of the deceased worker’s compensation for the rest of the spouse’s life, or until the spouse remarries. If an employee is covered, these benefits may be available even without a showing that the employer is at fault or did something wrong to cause the worker’s injuries or death. The LHWCA also provides additional causes of action that may be brought against a vessel owner or operator who negligently injures or kills the LHWCA-covered worker. These claims are brought under Section 905(b) of the LHWCA. Unlike benefits from the employer, these causes of action require a showing that the vessel owner was negligent or did something wrong to cause the worker’s injuries. Turnover Duty. Vessel owners and operators must turn their vessel over to the loading or discharging longshoremen and stevedores without hidden dangers. Hidden dangers do not include hazards that are open and obvious or easily-anticipated. Duty to Intervene. 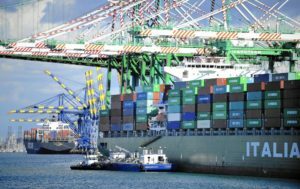 Depending on the circumstances, vessel owners and operators owe a duty to longshoremen and stevedores to intervene if they have actual knowledge that the ship or its gear pose a danger to the longshoremen and stevedores. Duty to Use Reasonable Care when Participating in Cargo Operations. If a vessel owner or operator actively involves themselves in cargo operations, then they must use reasonable care to avoid exposing the longshoremen and stevedores to harm from hazards they may encounter from the vessel’s crew or equipment. Claims brought by injured longshoremen, harbor workers, stevedores, and other LHWCA-covered employees can involve a myriad of other state and federal laws that may limit or restrict the injured worker’s ability to bring a claim. Any injured maritime worker should consult with a skilled and experienced maritime attorney regarding their rights and possible remedies. The lawyers at Armstrong Lee Savage LLP are ready to talk with you or your loved one today about your claim. Contact us through this website or call us at 832-709-1124 today. Consultations are always free, and you will never pay any attorney’s fees unless we recover on your behalf.